Let a special girl in your life know how fabulous they are on their landmark birthday! 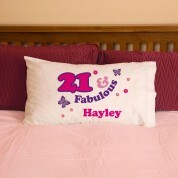 Our fabulous pillowcases make a fun and practical gift and will brighten up any girls room. 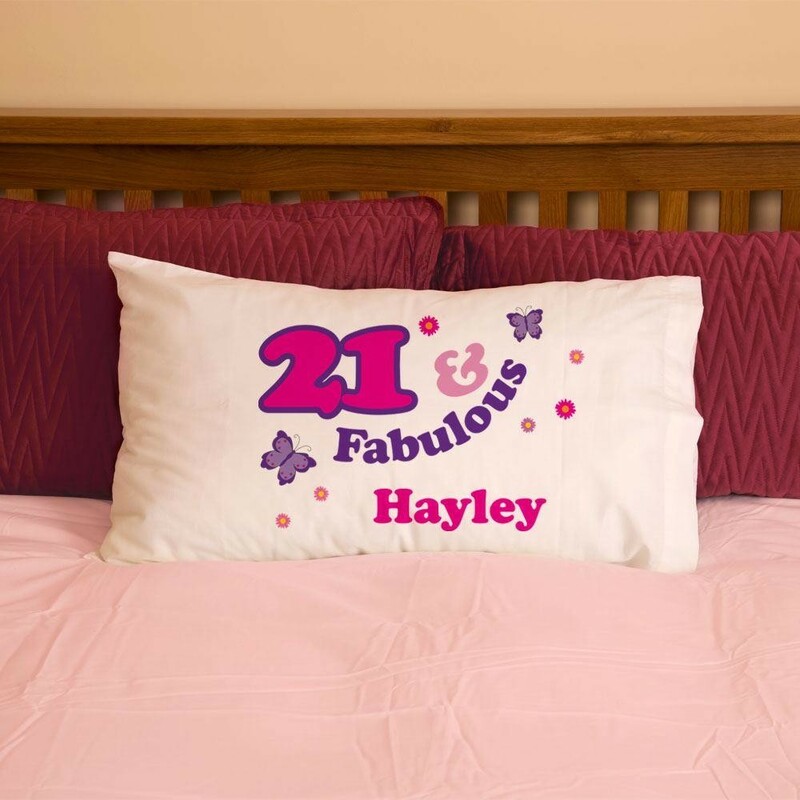 Personalised with her age and name, it's the perfect way to show you're thinking of her on her birthday. 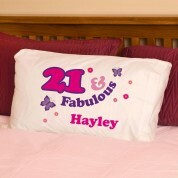 It's a great gift, suitable for any age and will look the part sitting on her bed. Colour: White Dimensions: approx 50cm x 75cm.